All equipment needed to preparation of wort from water, malt and hops. 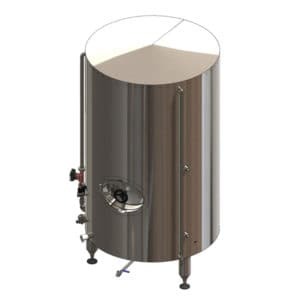 The wort brew system includes : wort brew machines, tanks for hot water, tanks for iced treated water, system to cooling and aeration of wort, glycol coolers, measuring and control system of the wort production. 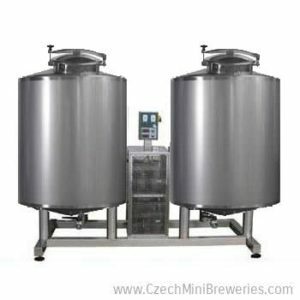 WBM : Wort brew machine (BBH – Brewhouse) – Brew machine for the production of hopped wort. The most important technical step in the beer production process is the brewing of the wort. Milled malt or malt extract is mixed with water an then is boiled with the hops to produce the final product – wort. 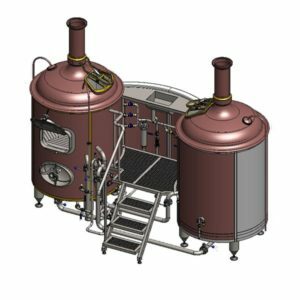 TCW : Tank for cold treated water (ITWT) – Tank for cooling and storaging of treated drinking water that is used for the cooling of wort in the plate heat exchanger, and then after heating of the water as a hot water for brewing of wort during a beer production process. 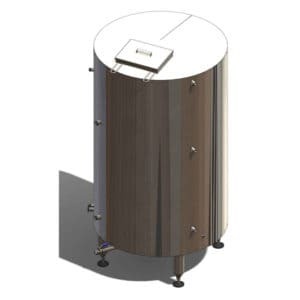 THW : Tank for hot water (HWT) – Tank for heating, storage and dosing of hot water needed to brewing of wort. 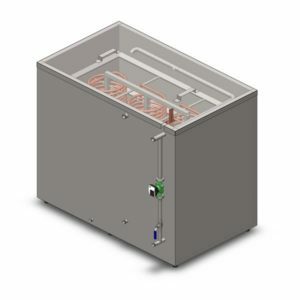 WCA : Cooler and aerator of wort – Plate heat exchanger for cooling of hot wort to the beer fermentation temperature using cold treated water and glycol. Wort is saturated by oxygen for start of the yeast activity for the beer fermentation. 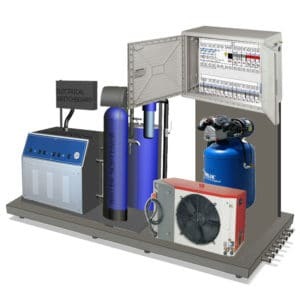 STG : Steam generator – Generator of hot steam for heating of brewhouse, tank for hot water, pipes and hoses. 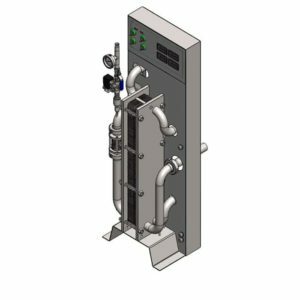 CSE : Water cooling system – Compact water cooler or split cooling unit with water tank, heat exchanger and pumps for cooling of water or glycol needed to cooling of wort in the plate heat exchanger. 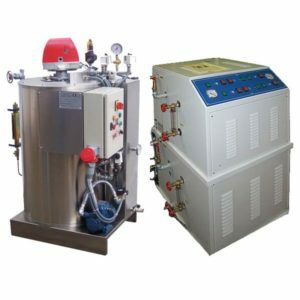 ACO : Air compressor – Air compressor with carbon filters is needed for oxygenation of wort and for powering of pneumatic valves when they are included as parts of the wort brew machine.